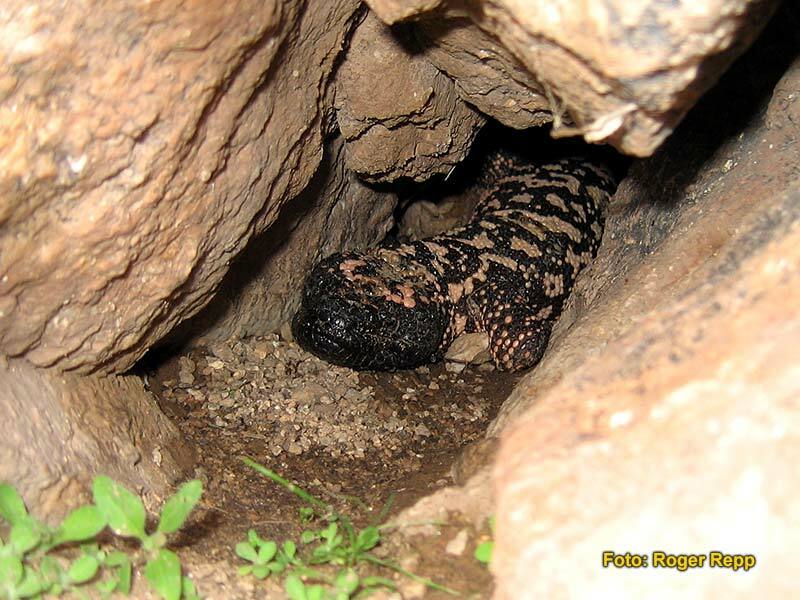 In the natural habitat, Heloderma are satisfied with 3 to 4 feedings in spring. This is a sufficent energy supply for a year (Ref. 8). 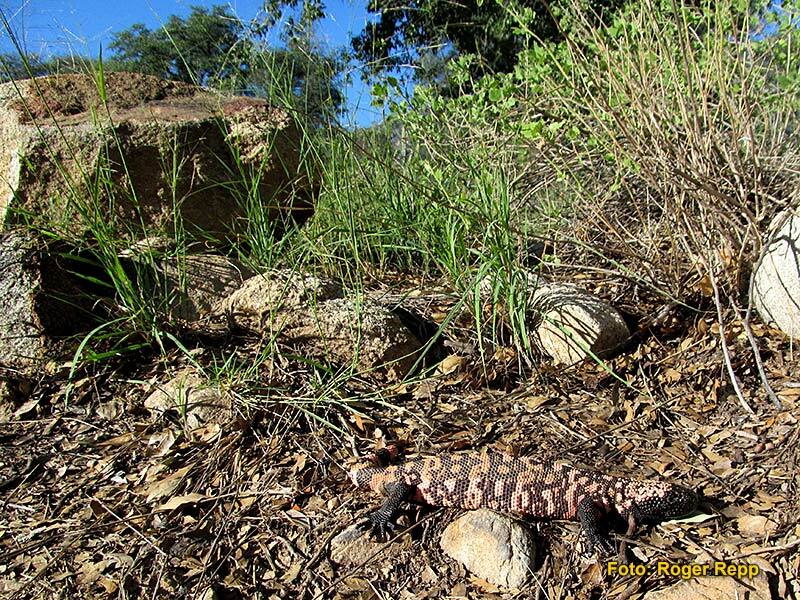 Gila Monsters demonstrate an astonishing memory and have a well developed sence of smell to locate any useful prey (Ref. 9). By permanent flicking with their forked tongue, prey is located. They have very good hearing and can detect very minor noises in their vicinity. There is discussion that they can locate their prey, e.g. 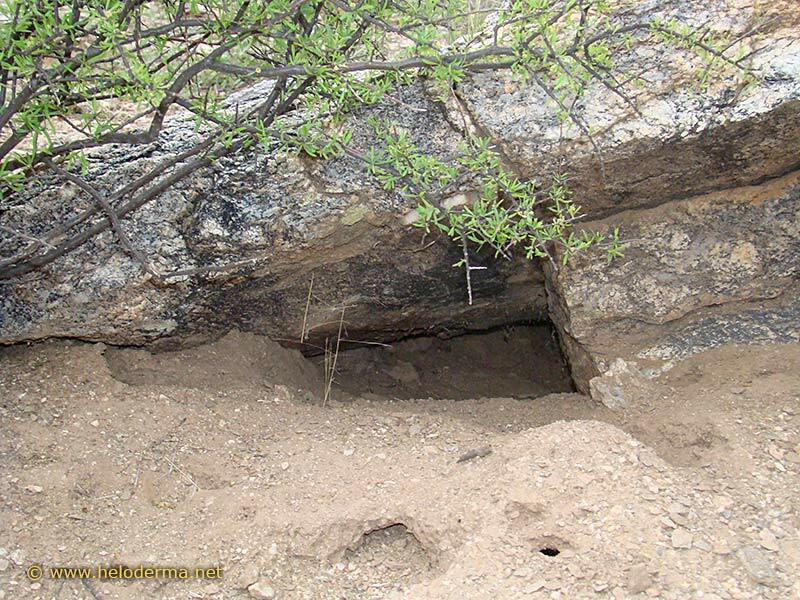 young mice, rats, rabbits or birds by noise. 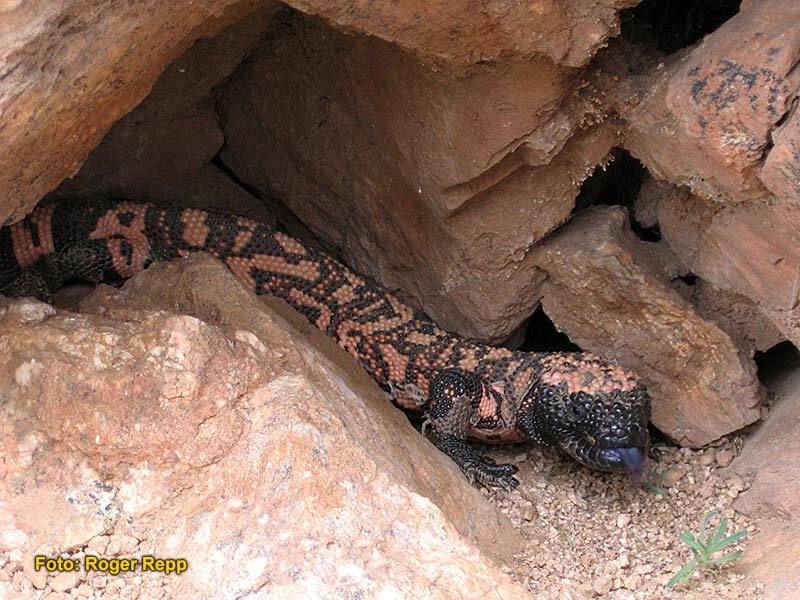 The Gila-Monster is a reptile (ectotherm) that has adapted to specific biotopes. This is absolutely necessary for their " surviving" (growing,digestion,reproduction,etc.) With evolution their preferred body temperature has been determined at any time. They are known to be very efficient with their energy reservoir. E.g. 90% of their prey is energetically stored (Ref. 10). 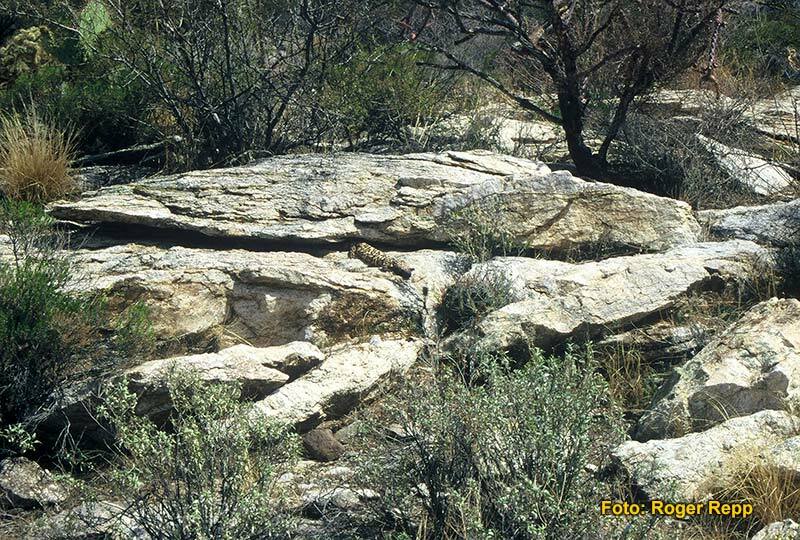 It is possible for Heloderma to survive in dry desserts and scanty habitats. 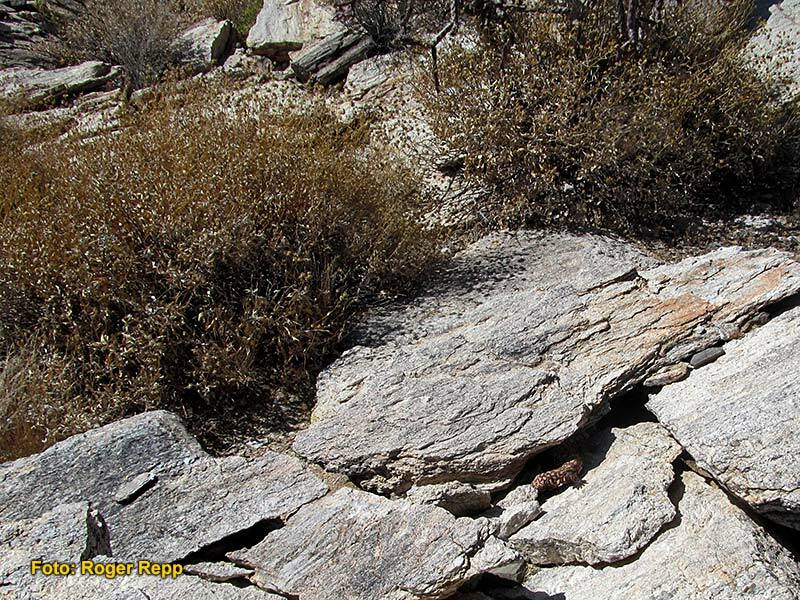 To protect them against high water loss, they live about 90% of their life underground in sandy or rocky crevices. Close to 37° C their loss of body water increases dramatically. They now are able to decrease their body temperature up to 2° C by an activated evaporation via the cloaca (Ref. 11). 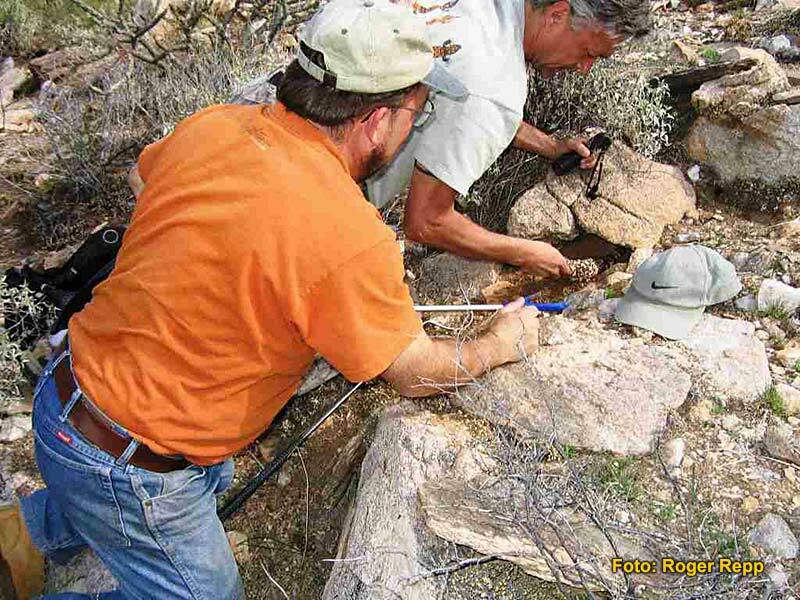 The lizards are moving to different shelters every 4-5 days up to the beginning of the summer season. 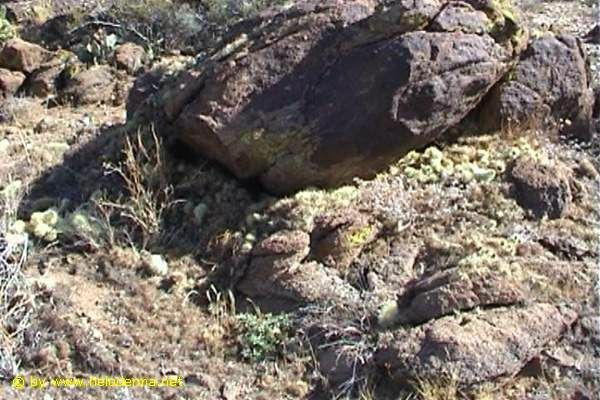 By doing so, they always optimize a suitable microhabitat for survival (Ref. 12). 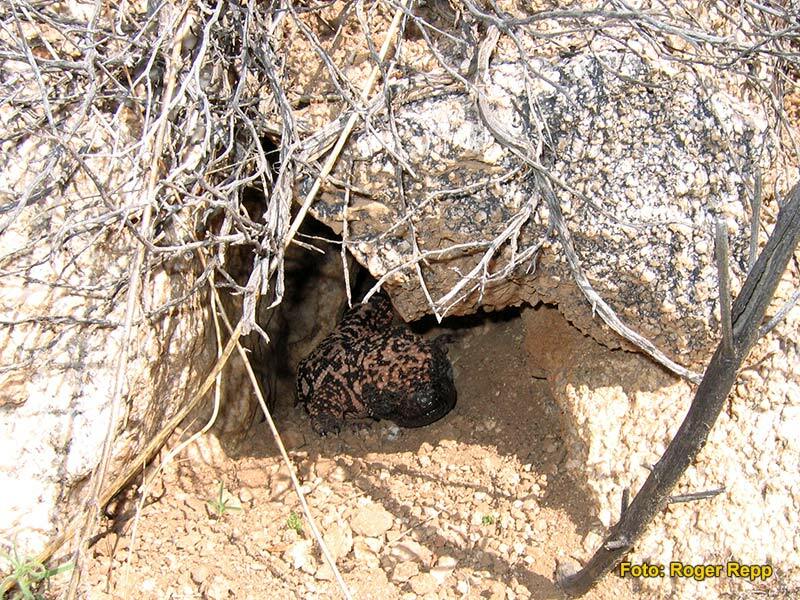 In the hot season, Heloderma often inhabit the same shelter for weeks at a time. Foraging is done at a body temperature of 24°-34°C. Their favourite body temperature ranges from 29°-30°C (Ref. 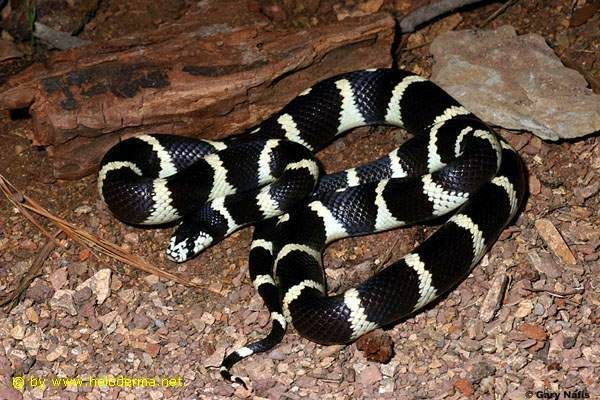 2) and gravid females prefer a little higher temperature. They can survive short time exposure of minus 3,8°C (supercooling limit) and 44°C (critical thermal maximum) (Ref. 13). Heloderma begin hibernation in October but have already reduced their activities to about 10% in early September. Frequently, they inhabit the same shelters every year. They also can submit themselves to long journeys. The lizards hibernate at temperatures from 9-15°C. However, temperatures do variate from shelter to shelter and month to month. At the beginning of March, they show up again on the surface to slowly warm up in the morning sun to start a new cycle of activity. 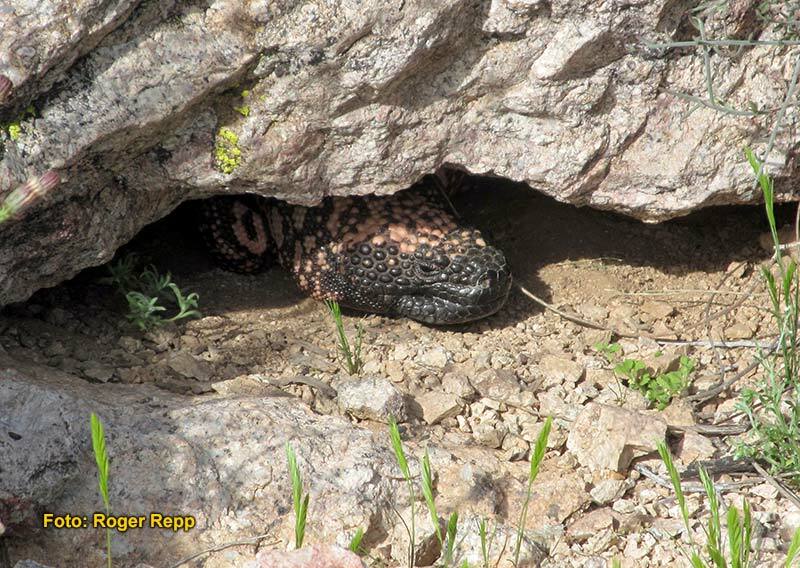 Gila Monsters are especially active from April to June, predominantly in the late morning. At this time mating occurs. On their foraging journeys (Ref. 1) they cover distances about 250m per hour (Ref. 8). In summer, their activities are strongly reduced and extend over the entire day depending on weather conditions. In the monsoon season (end of July/August) they are mainly nocturnal (Ref. 14,15). 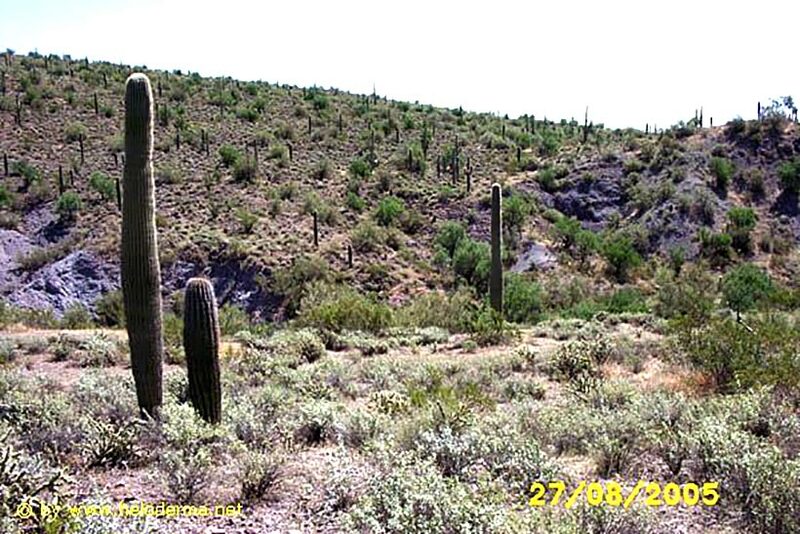 They become active shortly before a monsoon. They were considered as messengers for the desired monsoon rains by the Indian tribes. These tables of temperatures and precipitation are important for the surface activities of Heloderma suspectum. 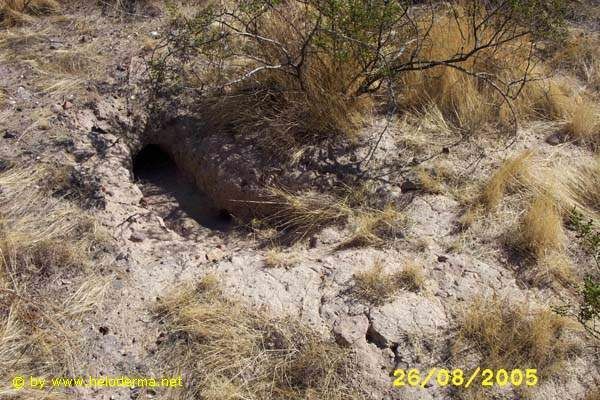 There is no correlation between surface temperature and humidity and the conditions in the micro climate of their shelters or egg depositing sites. 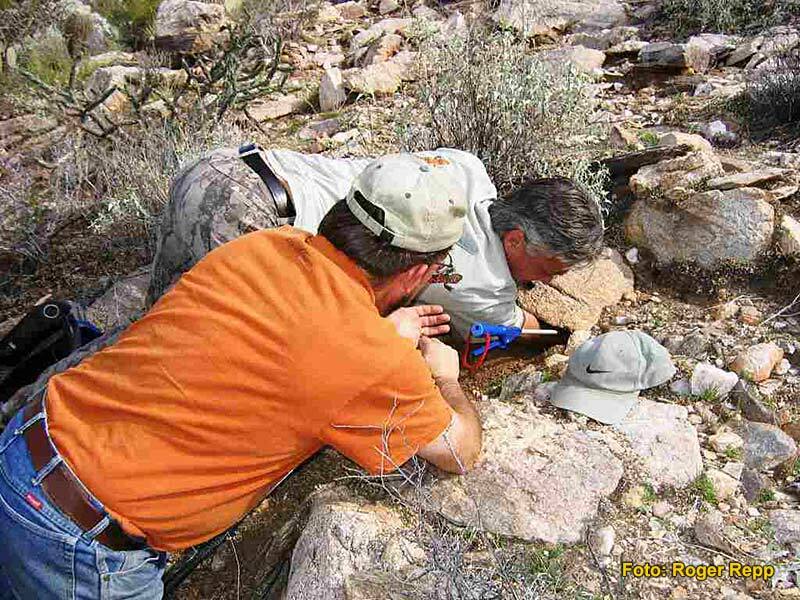 In the field Heloderma has a longevity of over 20 years (Ref.1). 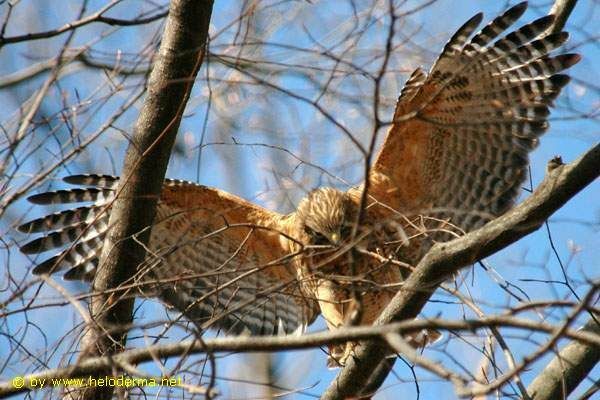 Natural enemies are: birds of prey, coyotes, snakes and pets. Most life threatening are humans because of habitat destruction (Ref. 16,17). 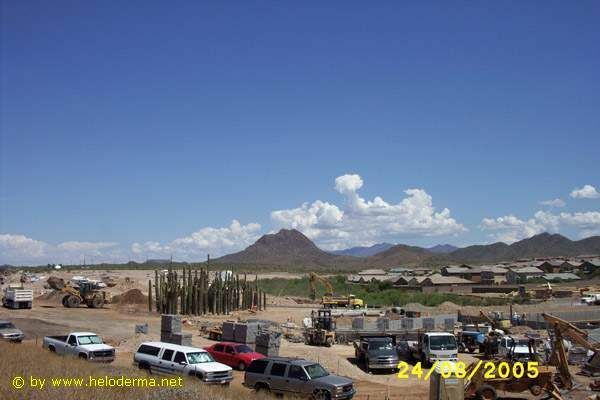 This includes extensive road construction, thus many Heloderma are run over by automobiles and trucks.